A week-long diving safari starting and ending in Sharm El Sheikh concentrating on some of the best wrecks worldwide such as Dunraven, World War II wreck Thistlegorm and the ship's graveyard of Abu Nuhas with Giannis D, Carnatic, Chrisoula K and the Kimon M.
2. - 7. Day Morning: sail to nearby dive site for a check dive, after into the Gulf of Suez passing Yolanda Reef that is named after a 74 m long Cypriot freighter which struck the reef on the 1st of April 1980. The wreck laid partially submerged on the reef top until a storm caused it to drop. Most of the ship finally has fallen over the drop-off, leaving a huge scar in the slope between Shark and Yolanda Reef. Although, a quantity of the cargo remains for the amusement of the divers: bathtubs, toilets and bathroom fittings. Continue with the historical wrecks of Dunraven. Recovered in early 1970's, the more than 125 years old wreck is largely intact, totally covered in corals and rich in marine life. The most famous of the Red Sea wrecks may be even worldwide is the Thistlegorm. The wreck first gained fame when Jacques Cousteau dived it in 1956 but left the actual location a mystery until it was rediscovered in 1992. Lying upright on the seabed at 33 m, the 127 m long and 18 m wide wreck is absolutely impressive. Close to Sha'ab Ali in the early hours of 22 February 1881, the 78 m long Kingston ran aground at the northern edge of the reef that is known as Shag Rock. Crossing the Gulf of Suez will take you to Abu Nuhas, a paradise for wreck lovers which is best known for the abundance of ancient and modern wrecks that lie here: Giannis D, Carnatic, Chrisoula K and Kimon M. All are located on the northern side of the reef, a sandy seafloor at the bottom of a steep sloping coral reef filled with table corals. The reef is very exposed to the prevailing wind and waves and was named after the oldest wreck which was carrying copper (Nuhas in Arabic). Optional as located far north of Tiran which is usually not visited and only reachable with good sea conditions, a rarely dived wreck is the Million Hope. This wreck is one of the youngest in the Egyptian Red Sea and the second largest of the diveable ones. Its size alone makes it a memorable dive. 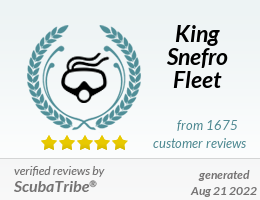 In between wreck dives you will also visit some outstanding reefs at Sha'ab Mahmoud and Ras Mohammed National Park. 7/8. Day: Depending on guest check out and flight time, there may be another dive or just snorkeling. Return to New Marina (El Wataneya) Port and disembark. Transfer to airport or hotel. You need to be a PADI Advanced Open Water Diver or equivalent and 30 logged dives are required for this safari. All dives, especially some more demanding wreck dives, are subject to diver's qualification and experience. You are able to join night dives onboard if you have previous night dives logged. You must have dived in the last year and recorded this in your log book to join this safari. Scuba Tune Up is available on request. The itinerary is an example so if you have a special wish for a certain place in this area just let your dive guide know. Liveaboard itineraries are subject to various unpredictable changes including weather conditions. All dives and especially some wreck dives are subject to divers experience and weather permitted. Liveaboard itineraries are depending on Egyptian Government, Coast Guard and/or Marine Police approval. Every effort is made but we cannot guarantee diving at specific sites. The final decision lies with the captain and guide. Safety always comes first!